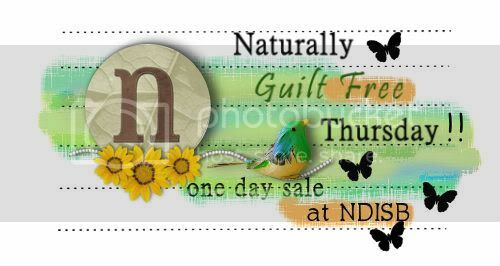 Welcome to this week’s Naturally Guilt-Free Thursday! Every week we’ll have wonderful products at fantastic savings for one day only. Here are this week’s offerings. Not everything shown below. Be sure to check the whole collection to see everything available. Please note: Sale prices are in effect from 12:01 AM Thursday, October 7 until 11:59 PM Thursday, October 7, Central Time. Originally $5.99, now just $2.00! Originally $4.99, now just $2.00! Originally $4.00, now just $1.00! Originally $4.99, now just $2.50! Originally $6.00, now just $3.60! Originally $8.00, now just $4.80! Originally $2.99, now just $1.50! Originally $2.50, now just $1.00! Originally $5.00, now just $2.00! Originally $5.00, no just $2.00! Originally $4.00, now just $2.00! Originally $4.40, now just $2.00! Was $1.50, now just $0.75! Originally $2.60, now just $2.00! Was $1.99, now just $1.00! Originally $1.50, now just $0.75!